I just registered for the Half Marathon portion of the 2013 Manitoba Marathon. I do my best work under pressure, but this still seems like self harm. Toward the end of last summer, I was in pretty good shape and able to do 16K. But that's as far as I've ever run and, in the interim, CreComm's all-consuming schedule nicely knocked me out of shape. All that to say, if you're looking for me, every second evening I'll be out on the road. Wanna run? Yikes. 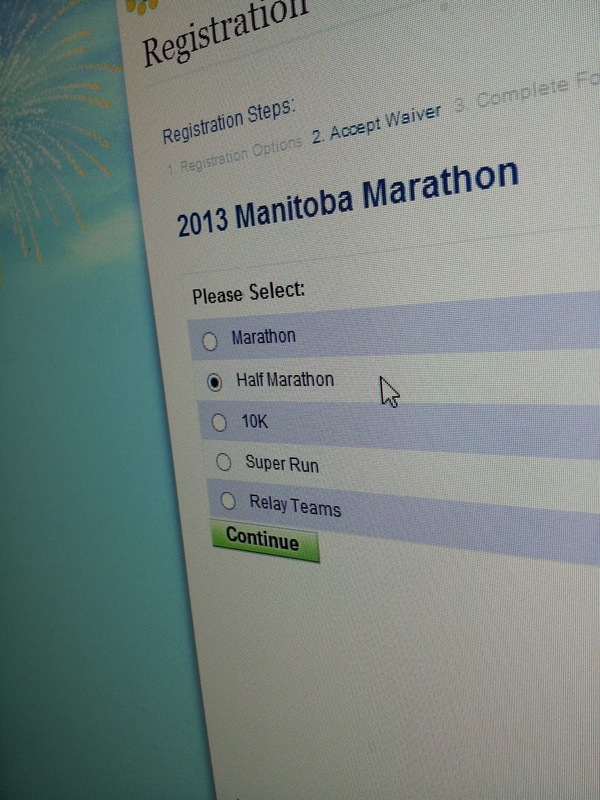 I'm kicking myself for signing up for a 5K!